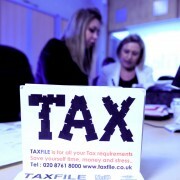 Still Haven’t Filed Your Tax Return? 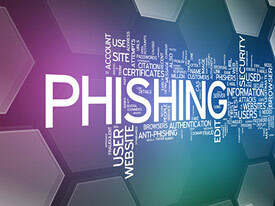 Expect a Nasty Bill from HMRC! 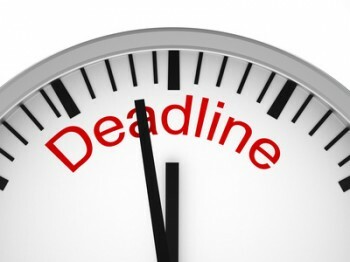 If you still haven’t filed your tax return for the financial year up to 5 April 2014 you can expect the penalties from HMRC to begin racking up daily — and potentially very significantly — starting from Friday 1 May. If you missed the 31 January 2015 deadline for tax returns, you already owe HMRC £100 in fines on top of any tax you owe. 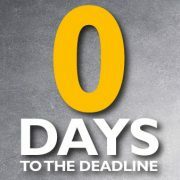 If you don’t owe any tax whatsoever, HMRC still require a tax return from you, plus that £100 in penalties. 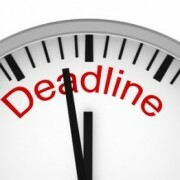 After the 90 day period beginning on May 1st, if you STILL haven’t filed your tax return you’ll receive a further £300 penalty (or 5% of the tax due; whichever is highest) plus a possible additional fine equivalent to 100% (or more) of the tax due, depending on how serious the case is. Each of these individual penalties is in addition to the preceding ones. https://www.taxfile.co.uk/wp-content/uploads/2015/05/Tax-Return-2014-b.jpg 166 166 Mark https://www.taxfile.co.uk/wp-content/uploads/2016/09/taxfile2016.png Mark2015-04-22 09:15:182015-10-27 12:30:03Still Haven't Filed Your Tax Return? Expect a Nasty Bill from HMRC! 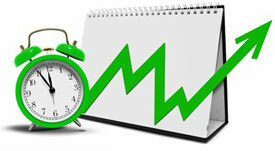 Save Money, Beat the December Price Increase! 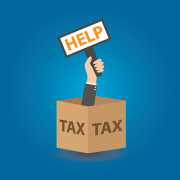 Where possible, Taxfile customers are urged to submit their records to Taxfile before December 1st 2014 so as to beat the price increases which will come into effect from that date. 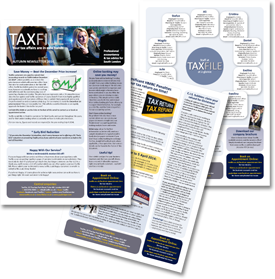 Taxfile has held its prices for several years now, and unusually long for our industry, however every so often we have to take stock and catch up with inflation and the ever-increasing costs of operating a business inside London. 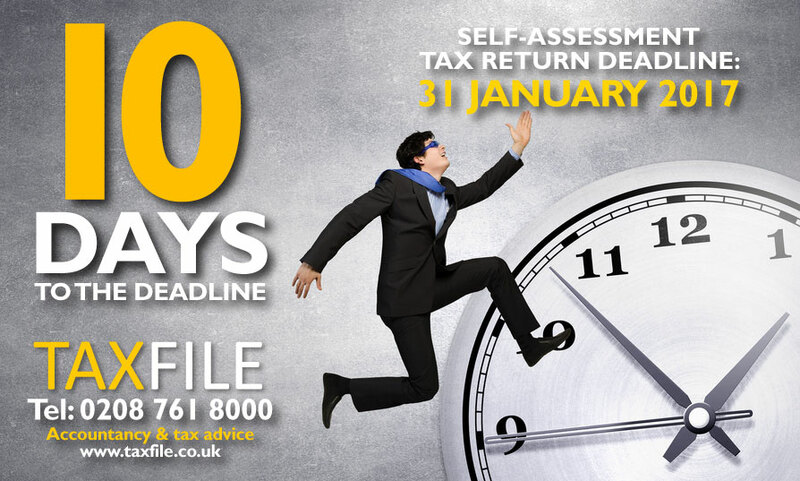 At time of writing, Taxfile customers still have time to submit their paperwork and records for professional tax and accountancy help – for example for tax returns – so can totally avoid the price increases this year if they act reasonably fast and get their figures and records etc. to us before December 1st. This will also avoid bottlenecks as we fast approach the busiest time in the tax year. 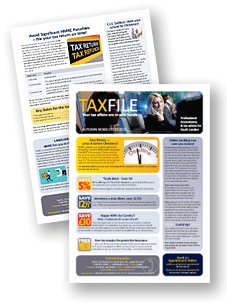 Taxfile will also be sending out reminders to its active customer database. * If you miss the December 1st deadline, don’t worry because we’re offering a 5% ‘Early Bird’ reduction on prevailing Taxfile prices if you submit all your records to us before the end of December. Call 020 8761 8000, click here to contact us or book an appointment online. 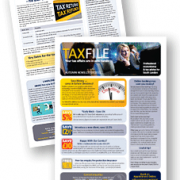 Taxfile would like to thank its customers for their loyalty and custom throughout the years, and for their understanding when occasionally we have to make these increases so as to keep pace with the rising cost of operating in London. 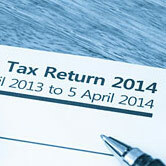 (For tax returns, figures and records are required for the year ending 5 April 2014). https://www.taxfile.co.uk/wp-content/uploads/2016/09/taxfile2016.png 0 0 Mark https://www.taxfile.co.uk/wp-content/uploads/2016/09/taxfile2016.png Mark2014-08-26 12:32:072014-08-26 12:32:07Save Money, Beat the December Price Increase! 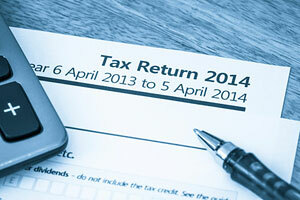 The start of the new Tax Year on 6 April 2014 – just 6½ weeks away at time of writing – will see two very important changes in relation to pensions allowances. The first change will affect the ‘Annual Allowance’ (or ‘AA’) which is the annual limit on pension savings attracting tax relief. This limit will be reduced from £50k to £40k (having been as high as £255k back in 2010/11) and includes contributions made by anyone into your pension whether that’s you or your employer. Should your pension savings be greater than this amount then you will have to pay a tax charge and include such information on your Self Assessment tax return. A calculator is available to work out whether you have any unused annual allowance available, this being particularly useful because you are eligible to carry forwards any unused allowance if it exists from the 3 previous tax years. If present the unused allowance can be used to offset against any tax charge.